Starting back to school is overwhelming. Why not make it a little easier with a Whovian word of encouragement? 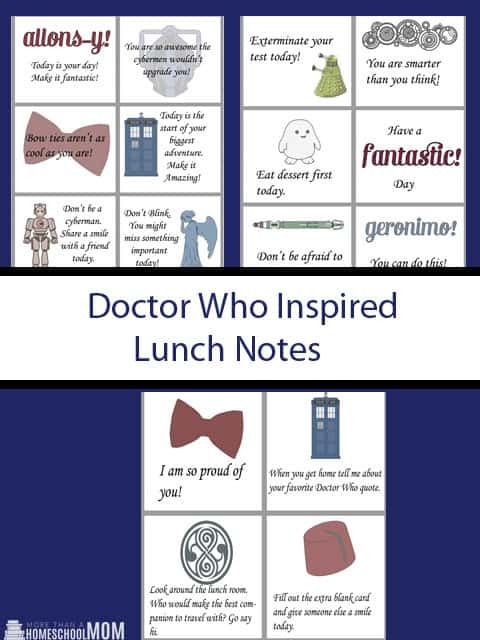 I have put together a great set of free Doctor Who inspired Lunch Box notes to help you get ready for the new school year. 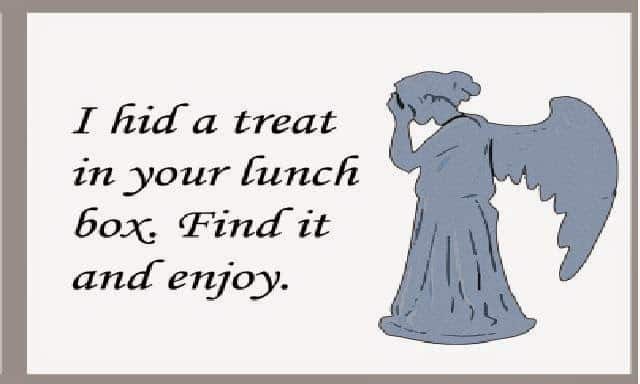 There are 30 total cards you can cut out and place in your child’s lunch. Let’s be honest. Some of these would be perfect for your Whovian girlfriend or your Doctor Who loving friend starting a new job. I would love it if you would share these on Pinterest and Facebook if you enjoyed them. Do you Homeschool? Why not put them inside of their folder or on one of the pages of their reading books as a fun surprise? With summer come the countless hours of car time. I decided it would be fun to put together a fun Doctor Who printable pack for the kids to play with while they are on the road. (I won’t tell anyone if you do them too.) 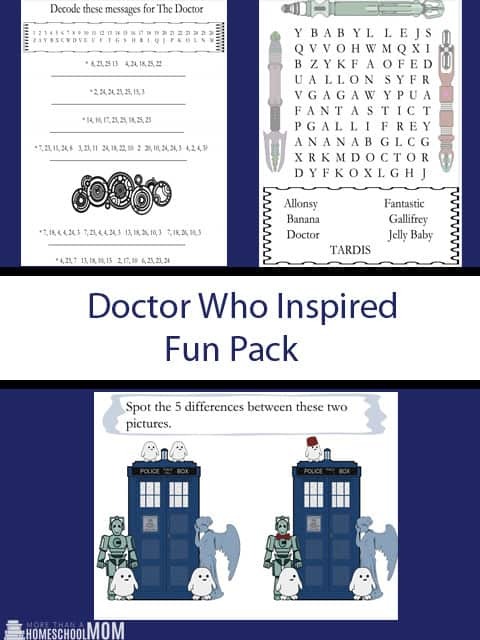 Have fun with this Doctor Who Fun pack. Summer is a great time to take a break from school work. It is also a fun time to work on your child’s writing skills with something they can have fun with. I have put together a Doctor Who Inspired Handwriting Printable Pack so that you can have fun with writing skills this summer. Cover Page – Writing a great story deserves a great cover page. Character Building – This page includes some great questions to help your child build the character for their story. Setting Idea Page- This page has questions to help your child figure out what the setting of the story should be. Building Your Plot – This page is to help your child design the plot of their story. Catchprase Idea Page – The Doctor and some of his companions need a great catchphrase. Use this page to help your child design one. Revision Ideas/Questions – Revising a story before writing the final draft is important. This page has ideas to help your child revise their story.